5W30 Oil is a multi-grade oil. Multigrade motor oil flows well in cold temperatures and still protects the engine at hotter temps. Oils have high viscosity when cold and a lower viscosity once the engine has reached its operating temperature. This difference is too large for most single-grade oil. In order to bring the difference in viscosities closer together polymer additives are added to the oil. The result is a multi-grade oil. The first number in your oil (5) is the viscosity grade cold. The second number (30) is what you will have when hot (212 degrees F). 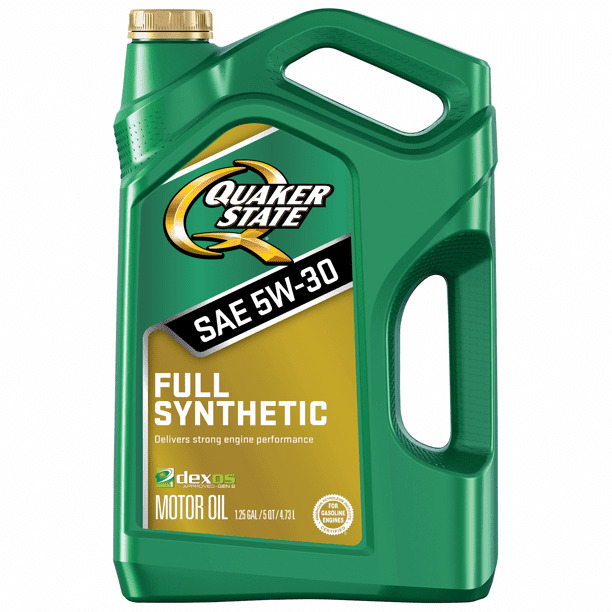 A 5W30 Oil must pass the SAE-J300 viscosity grade requirement for both 5W and 30. The W stands for Winter, meaning your oil is good for year round driving. If you are in the market for a great 5W30 Oil then the list below will help you find the best. We have taken the complete list of all oils tested and pulled just the 5W30 Oil results for your easy comparison. No Longer Available – See #23 below for newer version. No Longer Available – See #22 below for new version. No Longer Available. See #1 above for the new version. This 5W30 Oil has too much Zinc & Phos for use in catalytic converter equipped vehicles. It would work well for Race Cars, Street Hotrods and Classic cars. The bottle says it is formulated specifically for high output GM LS engines, and that no ZDDP or additives are required. Highest ranked Diesel oil tested. This oil is engineered for Diesel engines not equipped with Diesel Particulate Filters (DPF). No longer available. Replaced by new formula that now has GM Dexos 1 approval. See #3 above for the new version. No longer available. Replaced by 5W30 Castrol Edge Extended Performance. See #45 below. Tested at the end of 2015. The older API SM version (#2 Above) of this 5W30 Oil produced a wear protection capability value of 115,612 PSI. Claims to have molecules that cling to parts, forming an extra layer of protection during warm-up, reducing engine wear. This oil was tested Summer 2016. Total Seal also sells this Break-In Oil with their label on it.